Hollywood has suffered another hack — and this one may have targeted "Game of Thrones" and other HBO shows. Richard Plepler, HBO's chairman and CEO, notified employees of the breach in a Monday morning email. “As most of you have probably heard by now, there has been a cyber incident directed at the company which has resulted in some stolen proprietary information, including some of our programming,” he wrote. “Any intrusion of this nature is obviously disruptive, unsettling, and disturbing for all of us. I can assure you that senior leadership and our extraordinary technology team, along with outside experts, are working round the clock to protect our collective interests." "HBO recently experienced a cyber incident, which resulted in the compromise of proprietary information. We immediately began investigating the incident and are working with law enforcement and outside cyber security firms. Data protection is a top priority at HBO, and we take seriously our responsibility to protect the data we hold," HBO said in a statement. Material that has yet to air from "Ballers" and "Room 104" has apparently been leaked online, according to reports. 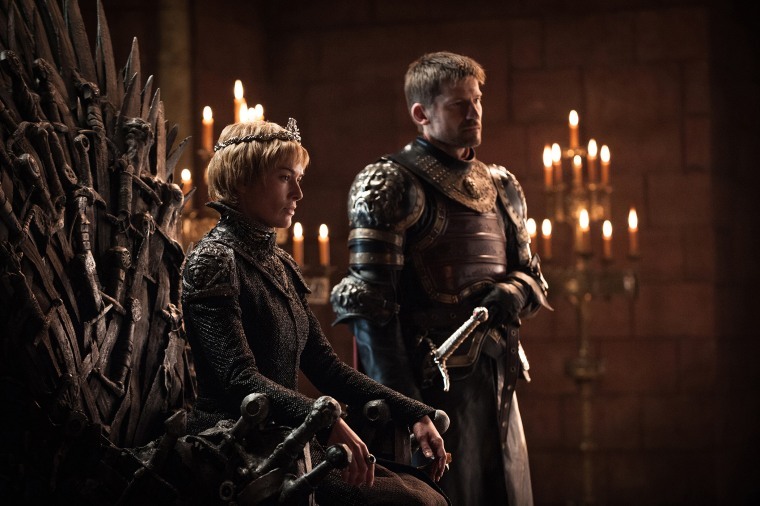 In addition, hackers may have taken written material allegedly from an upcoming episode of "Game of Thrones," according to Entertainment Weekly. In total, EW reports hackers claim to have 1.5 terabyte of data. For some perspective, 1 TB can hold an estimated 500 hours worth of movies, according to a ballpark estimate from PC Ninja. NBC News has not been able to independently verify these claims. It's unclear who is behind the attack, however an anonymous email reportedly addressed to several reporters made them aware of the breach on Sunday. “Hi to all mankind. The greatest leak of cyber space era is happening. What’s its name? Oh I forget to tell. Its HBO and Game of Thrones……!!!!!! You are lucky to be the first pioneers to witness and download the leak. Enjoy it & spread the words. Whoever spreads well, we will have an interview with him. HBO is falling," according to EW. Plepler also said in his email that the "problem before us is unfortunately all too familiar in the world we now find ourselves a part of. As has been the case with any challenge we have ever faced, I have absolutely no doubt that we will navigate our way through this successfully." HBO joins the ranks of other Hollywood giants that have been under attack in recent years. Netflix fell victim to hackers earlier this year when some episodes of "Orange Is the New Black" season five were leaked prior to the series' June release date. As far as entertainment industry hacks go, Sony suffered the biggest one yet in 2014 when thieves leaked personal information and email exchanges, some of which were between actors and executives. The hack was apparently prompted by the satirical film "The Interview," in which a news crew scores an interview with Kim Jong Un — and is asked by the CIA to assassinate him. However, it's also worth a note of caution. Hackers are usually a braggadocios bunch who like to overstate their claims. Earlier this year, Disney was the target of a hoax, in which hackers claimed to have a copy of the newest "Pirates of the Caribbean" film in their possession.